PLEASE NOTE: None of our signs say, “WOMEN’S CLINIC“. Do Not Go to any building advertised as a “WOMEN’S CLINIC“, that is NOT our building!! 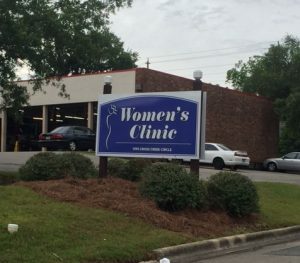 There are other “Women’s Clinics” and “medical facilities” that do not provide abortion services but may lead you to believe that they they do. We strongly believe that the purpose of centers such as these is to misinform, intimidate, and delay women seeking abortion services. The use of Google Maps and MapQuest may lead you to their facilities. In order to prevent confusion regarding our location, please follow the directions below to our facility. WARNING! THIS IS NOT US! This is NOT an abortion clinic. WARNING! THIS IS NOT US! This is NOT an abortion clinic. It is a Crisis Pregnancy Center. They are notorious for using scare tactics on women who are seeking compassionate abortion care. 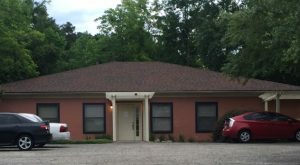 We are located at 2412 West Plaza Drive, Tallahassee, FL 32308. If you question whether or not you’re in the right place, please give us a call at (850) 877-3183.